I've had a couple of goes at livebaiting this week - both futile. 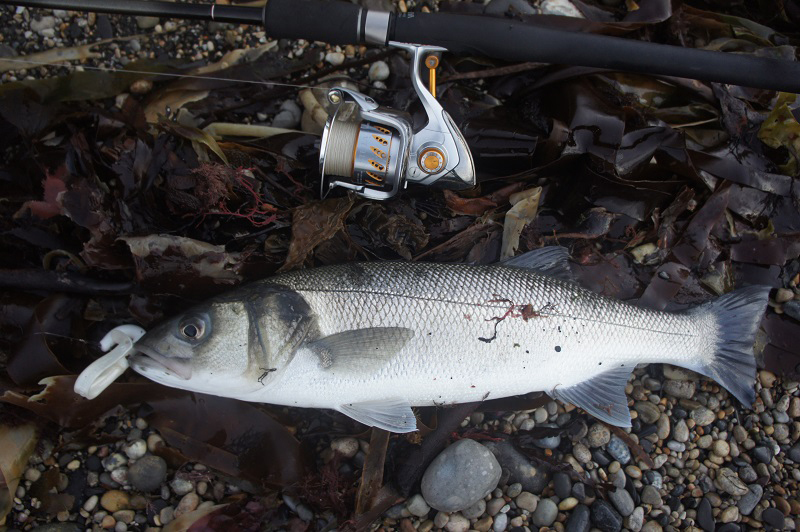 For some reason the larger bass (and their small bretheren) seem to have been absent from the places that I usually catch them by this method. Anyway, Nil Desperandum as they say, I decided to give it another go even though I had an invitation to go plugging with Bill and Nigel to a fairly reliable spot. My first session lasted an-hour-and-a-quarter at first light. In fact I set out too late and it was a clear sky so when I began to fish it was already quite bright. 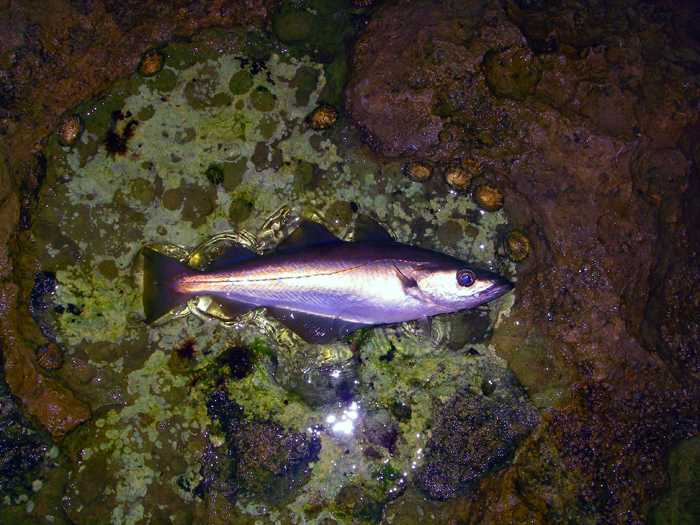 Straight away I was into pollack on the fly and although they were not very big they fought like stink. After I'd had three or four I switched to the wedge. 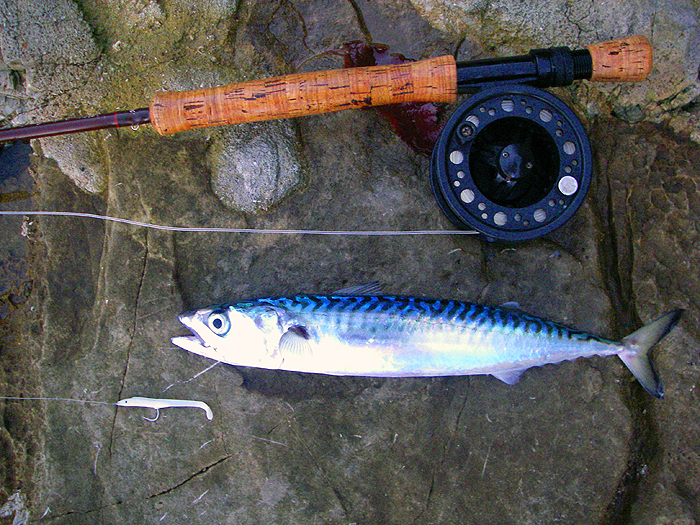 I had another pollack and then immediately caught a nice mackerel which I transferred to the circle hook on my livebait rod. I lowered it into the sea but it didn't swim away. Why didn't it swim away? I realised that as I'd put the rod together in the dark I'd twisted the line round it. Bugger! I fiddled about with my bait dangling on the end of the line. 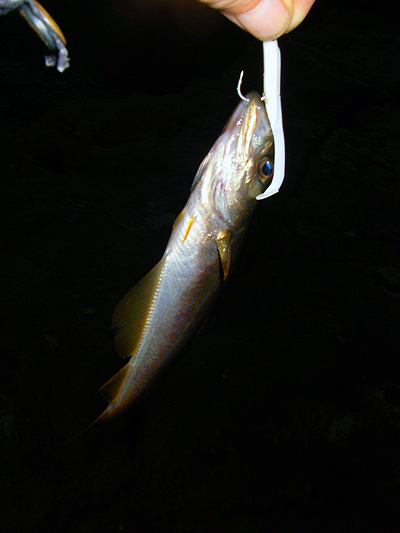 Eventually, just as I sorted things out, the bait unhooked itself and swam away. I couldn't catch another so I went back to the fly gear. The pollack now were tiny - always a good sign that it's time to go home. I went. 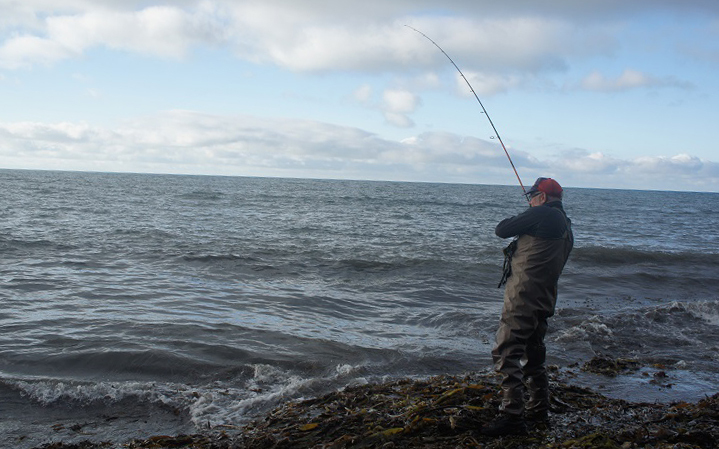 The following day, when I could have gone with my pals, I decided to try livebaiting again. this time I was on the rocks in plenty of time. I flogged with the fly and had nothing for ages. 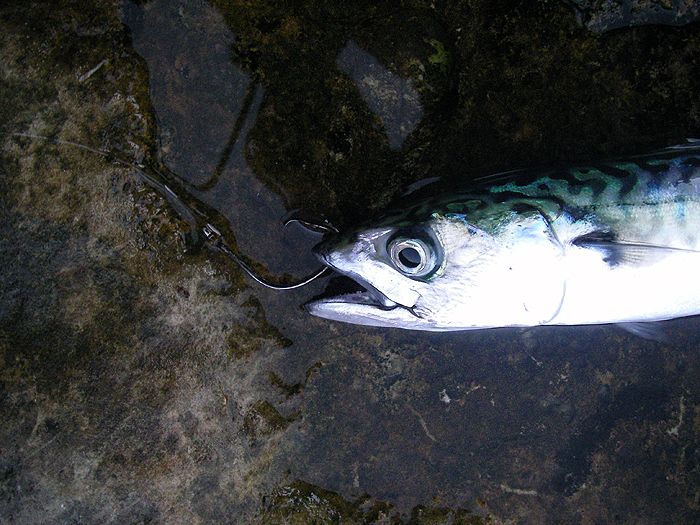 Then I caught a mackerel. Did it go??? I landed it and put it on as a bait. 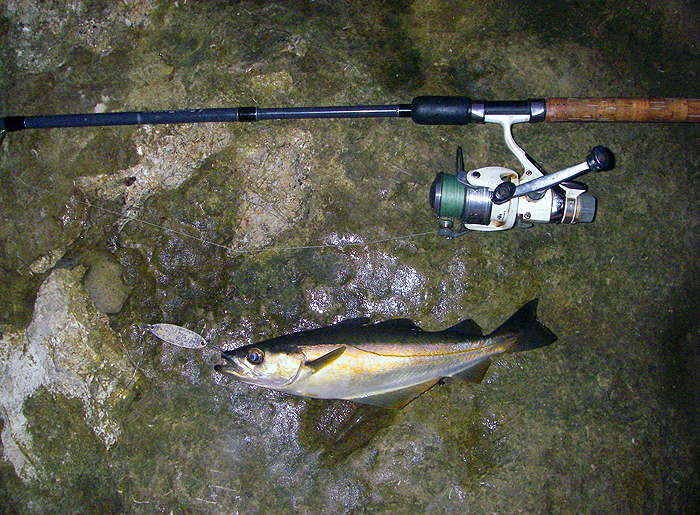 It swam like a good one for three-quarters-of-an-hour but it was untouched. I later heard that the lads had had one nice bass each on Sluggills - ah well, you can't win 'em all.